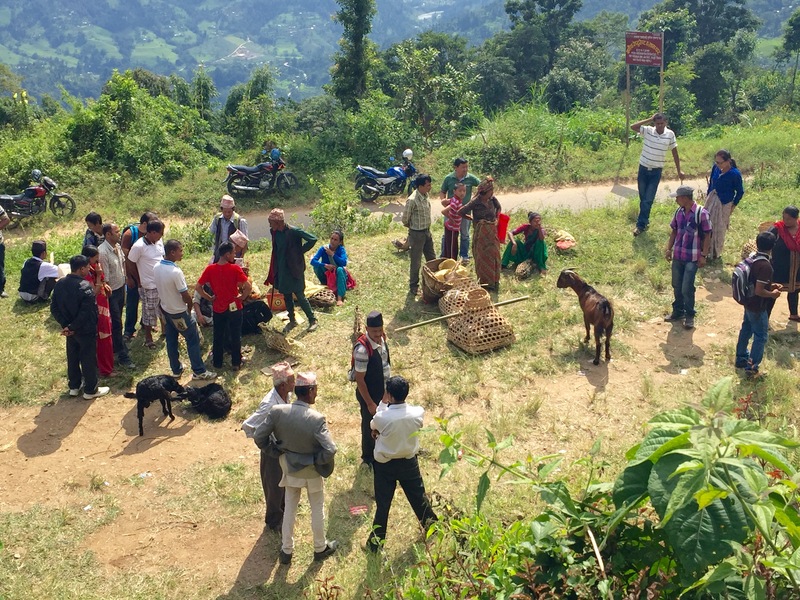 Being a goat in Nepal during the Dashain holiday season is like being a turkey in America just before Thanksgiving: Your odds of surviving aren’t great. So it was for these goats being sold in Ilam’s market this past Thursday. Farmers brought them there by the hundreds from throughout the surrounding area. Shoppers came to buy a goat or two for their family feasts, and wholesalers bought truckloads to sell in Jhapa, about three hours to the south. Dashain (pronounced: dah-sy) is Nepal’s biggest holiday, taking place during a week each October. (This year, Nepal’s government extended the holiday by a few days to ease scarce petrol supplies.) Schools and offices close and people travel across the country to their family homes. Almost every day during the festival, they perform designated forms of puja, or worship. 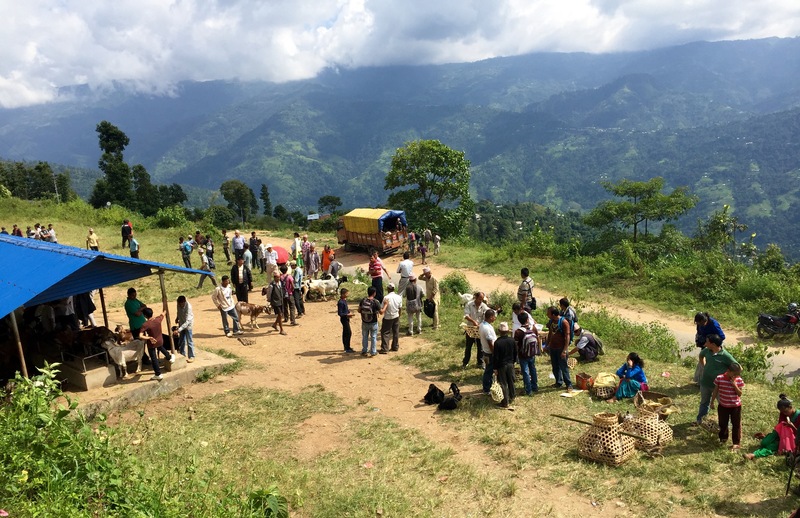 Ilam’s animal market takes place every Thursday, part of a larger market centered in the main bazaar. As Dashain approaches, business booms, as we saw for ourselves from the window of Champa’s house, just up the road. For hours on end, goats bleated their way past our gate. Families typically hire a butcher to slaughter the goat and prepare it for consumption. Likewise for pigs and buffalo, if they eat these. They usually slaughter chickens themselves. For a Western visitor, all of this can be grim to watch. However, if you’re someone who eats meat, it’s also more honest than going to a local supermarket and tossing a package of steak or chicken wings into your cart without giving any thought to its origin. Here in Nepal, there’s no avoiding the question. In Ilam and many other towns across the country, the answer can be found in the weekly animal market.